ComfortBaby offers the bassinet with xxl look and handmade wicker basket that provides a comfortable lying for the baby. While the baby lies in its comfortable bassinet, parents can take them anywhere they go. Even at nights, the bassinet can be placed next to the parental bed. 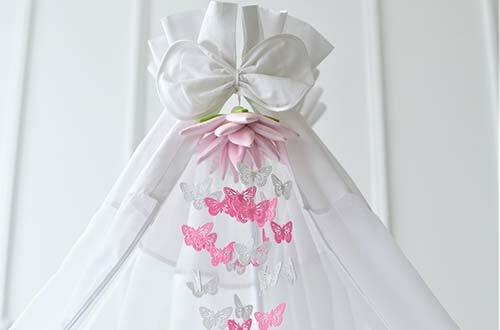 For a good sleep, the baby is protected by the canopy from brightness and air-draft. Once the baby starts feeling uncomfortable, parents can give back the feeling of comfort by moving the bassinet back and forth. The bassinet can be used inside and outside due to the sound-absorbing wheels with floor-compatible rubber coating. The equipment with canopy, pillow, blanket, matching covers (100% cotton) and mattress prepares parents well to welcome their newborn. The XXL HOME Bassinet by ComfortBaby ® is traditionally made by hand according to the cot principle. The natural willow basket and solid beech frame are manufactured to the highest standard. Thanks to sound-insulating wheels, which include the bed set as standard, the bassinet can be used as a cot throughout the day. The pure cotton bed set (certified to Standard 100 by ÖKO-TEX®) gives your child warmth and security. The hood, made of a metal frame, is provided with a cute textile cover and protects your baby from direct sunlight and draughts. Optionally, our bassinets are also available with a mosquito net.